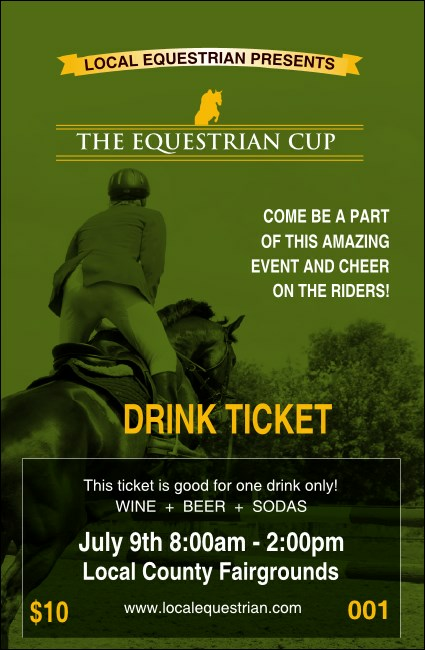 Add some well-designed style to any horsemanship related function when you hand out the Equestrian Drink Ticket! This handsome template is great for any general competition, tournament or fundraiser. The emerald background with lemony and white type help 14 lines of text stand out. Shop TicketPrinting.com for the right drink ticket to complete the look and feel of every event!